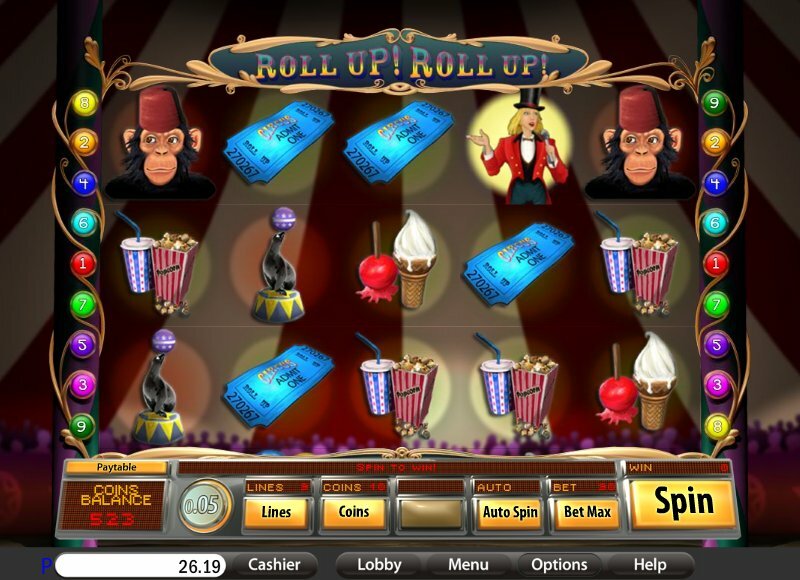 Overview: Roll Up! Roll Up! For the greatest show around! Spin your way through some of the Big Top's most exciting attractions! WIN UP TO 150,000 COINS! 9 LINES, UP TO 40 FREE SPINS, WILD! Similar Slots: If you like Roll Up! 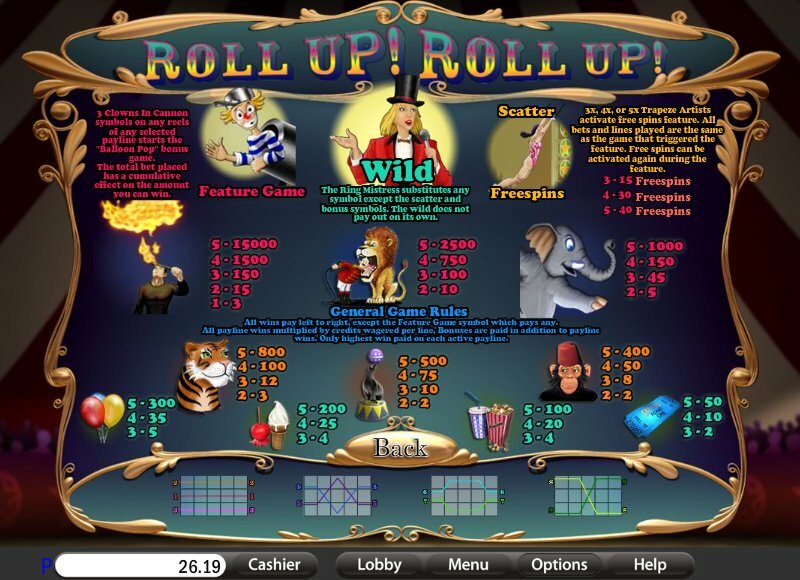 Roll Up!, you might like these other slot machines from Saucify: City of Gold, Dollar$ Down Under, Football Fever, Lucky Leprechauns, Pina Nevada.